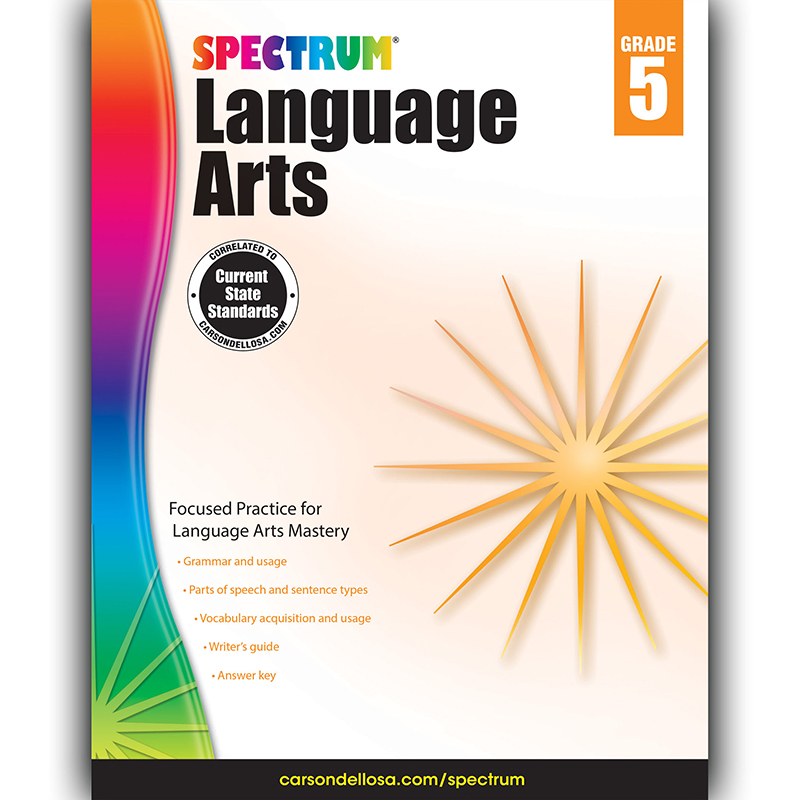 Spectrum Language Arts for Grade 5 includes focused practice for language arts mastery such as grammar and usage, parts of speech and sentence types, vocabulary acquisition and usage, and a writer's guide. Spectrum® Reading workbooks contain focused practice for reading comprehension, including letters and sounds, word recognition, integration of knowledge and ideas, key ideas and details, main idea, story structure, theme, and summarization. Each lesson features an illustrated story followed by exercise in comprehension. A variety of fiction and nonfiction reading passages combined with standards-based learning make these workbooks an essential resource for school success. A complete answer key is included. Spectrum, the best-selling workbook series, is proud to provide quality, educational materials that support your students' learning achievement and success.